Rockabilly had its roots in country, blues, folk, hillbilly, R&B, boogie-woogie and most other indigenous Deep South forms of popular song that you could strum three chords along to or howl down a cheap microphone. It was young people's music, made almost entirely by the first wave of teenagers, despised by adults in general and the country music establishment in particular. Its pioneer exponent, Elvis, eventually become respectable in the eyes of straight society but he was the exception. 1950s rockabilly was a spontaneous outburst of spirited three-chord songs, tiny record labels, primitive studios, fiercely partisan audiences and wild-eyed, driven performers who weren't even sure that their musical careers would last the week. The book charts the rise (and fall) of the original 50s wave of rockabillies. 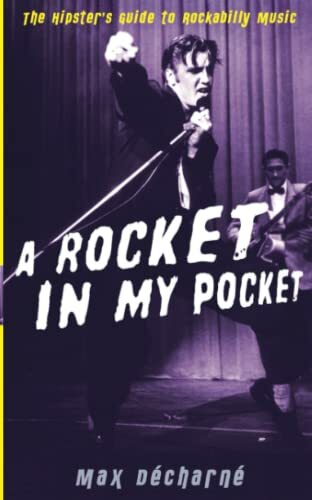 It will also follow the progress of the music, in clubs, on radio, TV and film, pinpointing the key record labels and important regional centres, showing how fashions eventually changed and left rockabilly high and dry, far too wild and primitive in an era of smoother sounds. Décharné traces the music to its Memphis roots.